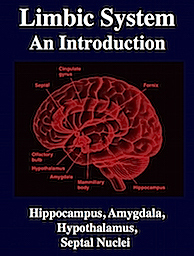 Right Frontal Melodic Emotional Prosodic Expressive Speech Area (Updated From: Neuropsychiatry, Neuropsychology, Clinical Neuroscience (Academic Press, 2000) by Rhawn Joseph, Ph.D. Although language is usually discussed in regard to grammar and vocabulary, it is also emotional, melodic and prosodic --features which enable a speaker to convey and a listener determine, intent, attitude, feeling and meaning (chapters 10, 15). A listener comprehends not only what is said, but how it is said--what a speaker feels. Feeling and attitude are conveyed through the melody (musical qualities), inflection, intonation, and prosody of one's voice, and by varying the pitch, inflection, timbre, stress contours, melody, as well as the rate and amplitude of speech --capacities predominantly mediated by the right half of the cerebrum (see chapter 10). 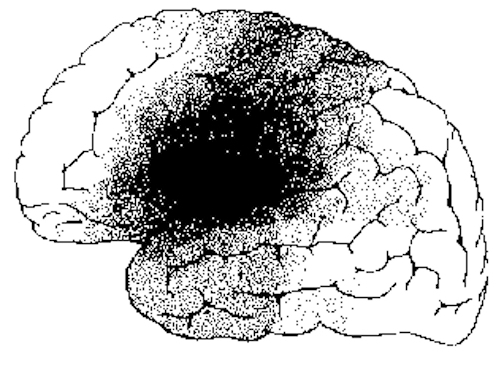 Patients with severe forms of Broca's expressive aphasia are unable to discourse fluently. However, they may be capable of swearing, making statements of self-pity, praying, singing, and even learning new songs (Gardner 1975; Goldstein 1942; Gorelick and Ross 1987; Joseph 2008a; Ross 1981; Smith 1966; Smith and Burklund 1966; Yamadori, Osumi, Mashuara, and Okuto, 1977)--although in the absence of music they would be unable to say the very words they had just sung. 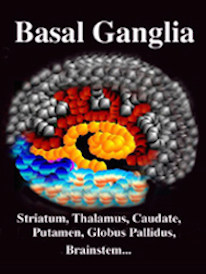 This is because the ability to produce non-linguistic and musical/emotional sounds is mediated by the undamaged right frontal lobe and limbic nuclei (Gardner 1975; Gorelick and Ross 1987; Joseph 2008a; Ross 2013; Shapiro and Danly 1985). Indeed, just as the left frontal convexity (i.e. 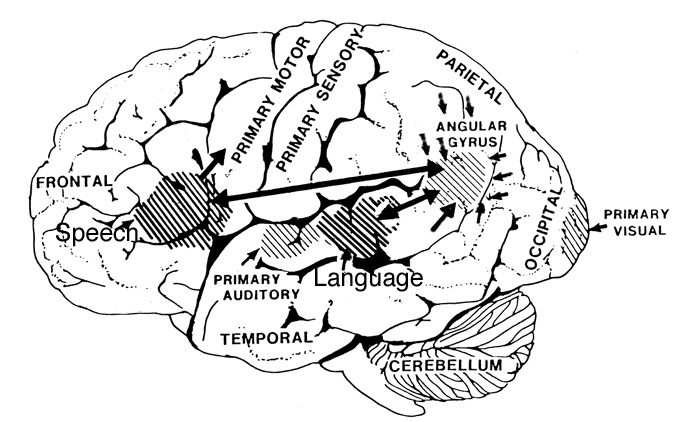 Broca's area) subserves the syntactical, temporal-sequential, motoric, and grammatical aspects of linguistic expression (Foerster 1936; Fox 2015; Goodglass & Kaplan, 2000; LeBlanc 1992; Petersen et al. 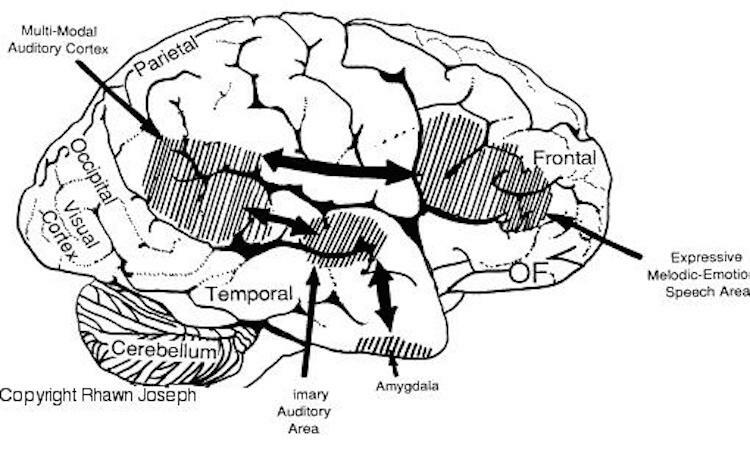 2008, 1989; Sarno, 1998), there is a homologous region within the right frontal area which mediates the expression of emotional and melodic speech (Gorelick and Ross 1987; Joseph 1982, 2008a, 2014a; Ross 1981, 2013; Shapiro and Danly 1985). With massive damage involving the right frontal melodic-emotional speech area, speech may become flat and monotonous, or conversely, the ability to alter or convey melodic and prosodic elements may become exceedingly abnormal and distorted. 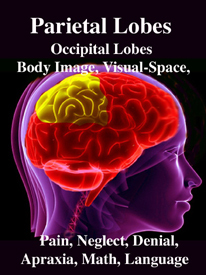 With extensive injuries to the right frontal lobe, patients may lose control over their voice and at times may sound as if they are crying, wailing, or screeching. Such patients may loose the ability to engage in vocal mimicry or to accurately repeat various statements in an emotional manner (Gorelick and Ross 1987; Joseph 2008a; Ross 1981, 2013). 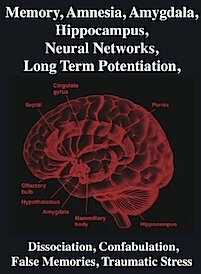 With mild damage, rather than severe distortions or a loss of melody, the intonational qualities of the voice can become mildly abnormal and patients may seem to be speaking with an odd midwestern-like accent--particularly with deep lesions of the right frontal area, perhaps involving the cingulate or basal ganglia. 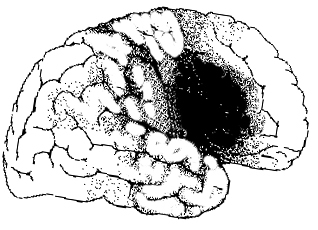 Prosodic distortion in the form of an unusual accent is sometimes seen in seizure disorders involving deep right frontal or frontal-temporal areas. On the other hand, with left frontal lesions some patients develop what sounds like an unlearned foreign accent, as if they were from Germany, France, etc. (Blumstein et al. 1987; Graff-Radford et al. 1986). 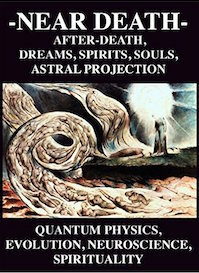 This is due, in part, to distortions involving the pronounciation of vowells. 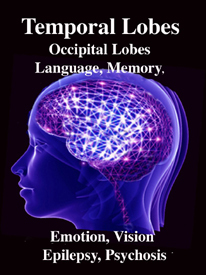 When damage is limited to this right frontal emotional-motor speech area, the ability to comprehend and understand prosodic-emotional nuances appears to be somewhat intact (Gorelick & Ross, 1987; Joseph, 2008a; Ross, 2013). However, with right temporal injuries, the ability to comprehend these nuances may be lost (Ross, 2013). 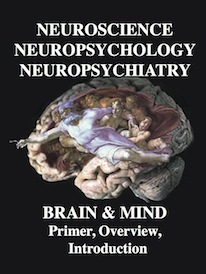 It is interesting to note, however, that despite the clinical, neuropsychological, and neuroanatomical evidence indicating that the right frontal and right temporal areas contribute to the production of emotional prosodic melodic speech, that functional imaging and blood flow studies have failed to display significant activity in these regions during language-related activities (Frost, et al., 2014; Pujol, et al., 2014)--a function perhaps, of the insensitivity of the tasks and/or measures employed in this regard. Patients suffering from mania often display pressure, tangential and delusional speech. 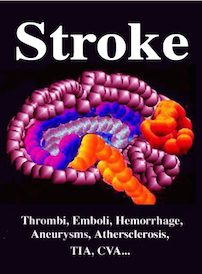 Likewise, with bilateral or right frontal lobe damage, speech may become pressured and tangential such that the patient rapidly diverges to other and unrelated topics (Joseph, 1986a, 2008a, 2014a). For example, when a patient with severe right orbital damage was asked if his injury affected his thinking, he replied, "yeah--it's affected the way I think--It's affected my senses--the only thing I can taste are sugar and salt--I can't detect a pungent odor--ha ha--to tell you the truth it's a blessing this way" (Blumer & Benson, 1975, p.197). One frontal patient when asked what he received for Christmas replied, "I got a record player and a sweater." (Looking down at his boots) "I also like boots, westerns, popcorn, peanuts and pretzels." Another right frontal patient when asked in what manner an orange and a banana were alike replied, "fruit. Fruitcakes--ha ha--tooty fruity." When asked how a lion and a dog were alike he responded, "They both like fruit--ha ha. No. That's not right. They like trees--fruit trees. Lions climb trees and dogs chase cats up trees, and they both have a bark." Tangentiality is in some manner related to impulsiveness as well as circumlocution. 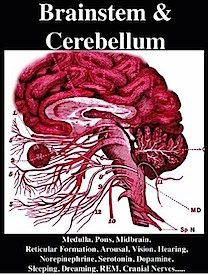 In contrast, patients with circumlocutious speech often have disturbances involving the left cerebral hemisphere and frequently suffer from word finding difficulty and sometimes receptive or expressive dysphasia. They experience difficulty expressing a particular idea or describing some need as they have trouble finding the correct words. Thus talk around the central point and only through successive approximations are able to convey what they mean to say. Patients with tangential speech lose the point altogether. Instead, words or statements trigger other words or statements which are related only in regard to sound (e.g. like a clang association) or some obscure and ever shifting semantic category. Speech may be rushed or pressured and the patient may seem to be free associating as they jump from topic to topic. Hence, in contrast to the aphasia, or speech arrest associated with left frontal injuries, right frontal lesions may result in speech release ("motor mouth"). Speech becomes disinhibited, pressure, and contaminated with tangential associations, and the patient may seem to be free associating as they jump from topic to topic. In the extreme speech becomes filled with confabulatory ideas. 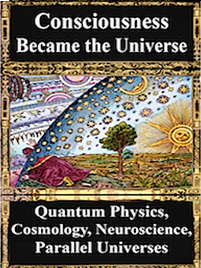 When secondary to right (or bilateral) frontal damage, speech may become exceedingly bizarre, delusional, and fantastical, as loosely associated ideas become organized and anchored around fragments of current experience. For example, one patient, when asked as to why he had been hospitalized, denied that there was anything wrong, but instead claimed he was there to do some work. When asked what kind of work, he pointed to the air conditioning unit, and stated: "I'm a repair man. I'm here to fix the air conditioner. Now, if you'd please excuse me. I've got work to do." A 24 year old store cleark who received a gunshot wound (during the course of a robbery) which resulted in destruction of the right inferior convexity and orbital areas, attributed his hospitalization to a plot by the government to steal his inventions (Joseph 1986a). He claimed he was a famous inventor, had earned millions of dollars and had even been on TV. When it was pointed out that he had undergone surgery for removal of bone fragments and the bullet, he pointed to his head and replied, "that's how they are stealing my ideas." 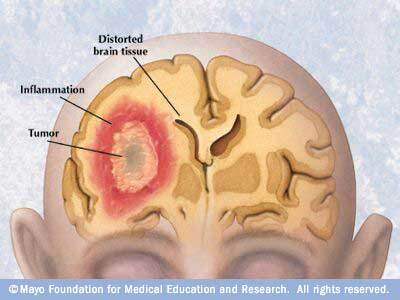 Another patient, formerly a janitor, who suffered a large right frontal subdural hematoma (which required evacuation) soon began claiming to be the owner of the business where he formerly worked (Joseph 2008a). He also alternatively claimed to be a congressman and fabulously wealthy. When asked about his work as a janitor he reported that as a congressman he had been working under cover for the C.I.A. Interestingly, this patient, also stated he realized what he was saying was probably not true. "And yet I feel it and believe it though I know it's not right." 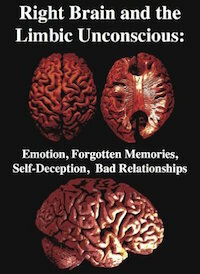 Frontal lobe confabulation seems to be due to disinhibition, difficulties monitoring responses, withholding answers, utilizing external or internal cues to make corrections, accessing appropriate memories, maintaining a coherent line of reasoning, or suppressing the flow of tangential and circumstantial ideas (Fischer et al. 2015; Joseph 1986a,2008a, 2014a; Johnson, O'Connor and Cantor 2017; Kapur and Coughlan 1980; Shapiro et al.1981; Stuss et al. 1978; Stuss and Benson 1986). That is, since the right frontal lobe can no longer regulate information processing and the flow of perceptual and ideational activity, information that is normally filtered out and suppressed is instead expressed. 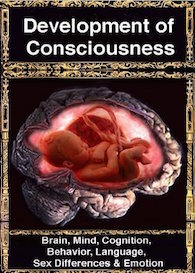 In consequence, the Language Axis of the left hemisphere becomes overwhelmed and flooded by irrelevant, bizarre associations, leading sometimes to the expression of false memories, which the patient (that is, Broca's area) repeats (Joseph, 1982, 1986ab, 2008ab). 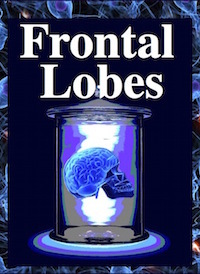 As noted, in some respects injuries involving the orbital frontal lobes can result in symptoms similar to those with right frontal injuries, including the production of confabulatory ideation. However, in contrast to right (or bilateral) frontal injuries which may result in the production of fantastical spontaneous confabulations where contradictory facts are ignored or simply incorporated, confabulatory responses associated with orbital injuries tend to be more restricted, transitory, and in some cases must be provoked (Fischer et al. 2015).